Bend, OR (11/12/09)…An article by Bend management consultant and team-building specialist, Dianne Crampton, has been published in the global 2010 Pfeiffer Consulting Annual (John Wiley & Sons). 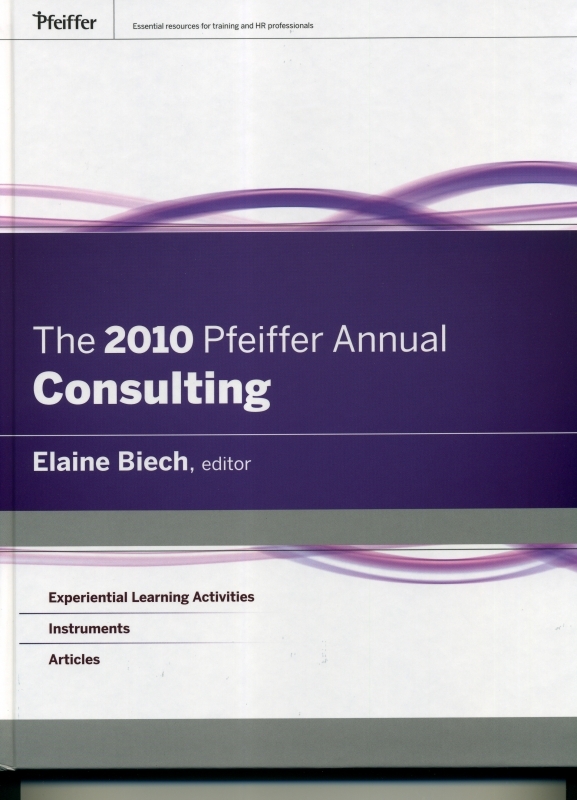 For four decades, the Consulting Edition Pfeiffer Annual has provided thousands of trainers, consultants, educators, and managers with up-to-date information and tools to help make organizations more effective. to behaviors such as trust, interdependence, genuineness, empathy, risk and success (TIGERS). Crampton’s chapter in the 2010 Pfeiffer Consulting Annual discusses a leadership model that provides a foundation for team-building success. She shows in practical terms how businesses can quickly improve group harmony and, as a result, increase productivity. In February 2007, the U.S. Small Business Administration reported that small businesses comprised of 500 or fewer employees are the largest employment segment in the country. They are the backbone of the U.S. economy. Yet many of these companies, some strikingly fast-growing, find themselves struggling with issues such as attracting talented team members and sustaining growth. A survey conducted by TIGERS Success Series concluded that the number-one reason talented employees leave companies is because they will not accept a poor company culture or attitudes that violate values such as trust. 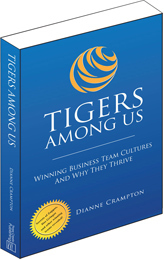 Dianne Crampton’s new book TIGERS Among Us: Winning Business Team Cultures And Why They Thrive will be released in March, 2010. To get more information on this book, go to http://www.TIGERSamongUS.com.